Brazil manager Luiz Felipe Scolari said his future had yet to be decided and urged optimism after the hosts crashed to another heavy defeat in their final match of the World Cup on Saturday. Brazil were soundly beaten 3-0 by the Netherlands to finish a disappointing fourth and Scolari said he would file a report to the Brazilian Football Confederation (CBF) as planned and leave it up to them to decide his fate. "That has to be decided by the president of the confederation," Scolari told a news conference when asked about his future. "When we started we had a deadline to make our jobs available at the end of the World Cup regardless of the result," added the 65-year-old. "And that is exactly what we’re going to do with a final report for the president. "Now we have to prepare our report and tell the president what happened and allow him to analyse this and life goes on." The president-elect of the CBF, Marco Polo Del Nero, said on Friday that Scolari should keep his job because of the good work he did during his 19 months in charge. 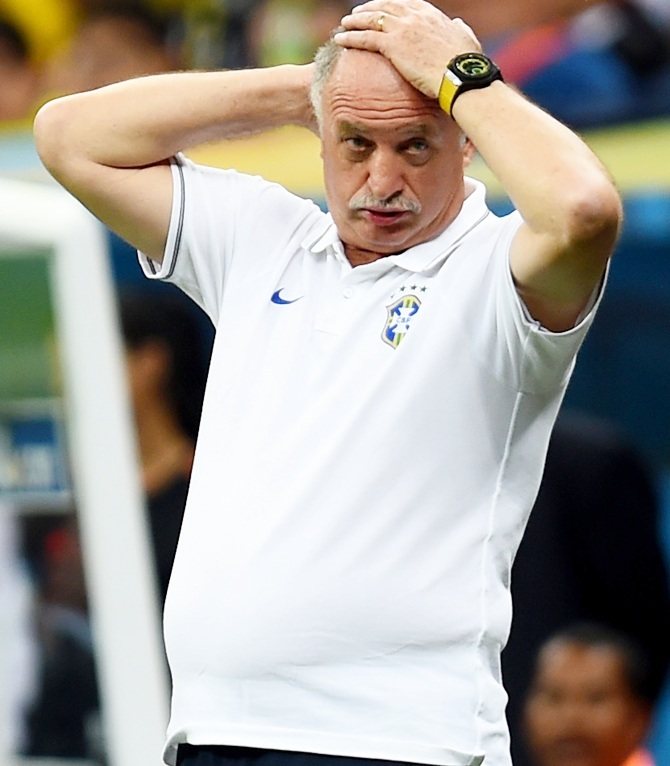 Scolari said he had no reason to criticise his players after Saturday's performance in the third-place playoff match and there was no need for them to be mentally scarred by their experiences over the past week. Argentina's Lionel Messi has looked ‘jaded’ and ‘staccato’ in a disappointing World Cup overall despite some magical moments, former England striker Gary Lineker said on Saturday. The four-times World Player of the Year and Argentina captain scored four times in the group stage, but has been largely shackled in the later rounds as Switzerland, Belgium and the Netherlands all used 'swarm' tactics against him. "There is something not quite right with Lionel Messi at this World Cup," Lineker, a pundit with Britain's BBC broadcaster, wrote in a pre-match analysis. "I am the Argentina captain's biggest fan and he is the most wonderfully gifted player since Diego Maradona but, here in Brazil, I have been disappointed with what I have seen." Lineker, who was in the England team that famously lost 2-1 to Argentina in 1986 thanks to Maradona's ‘Hand of God’ then another goal hailed as the best ever at a World Cup, said Messi was lacking movement and had become easy to mark. "He always scores a lot of poacher's goals by darting into the box late," the Englishman said, yet against the Netherlands "the only time he touched the ball in their box was when he scored a penalty in the shootout." 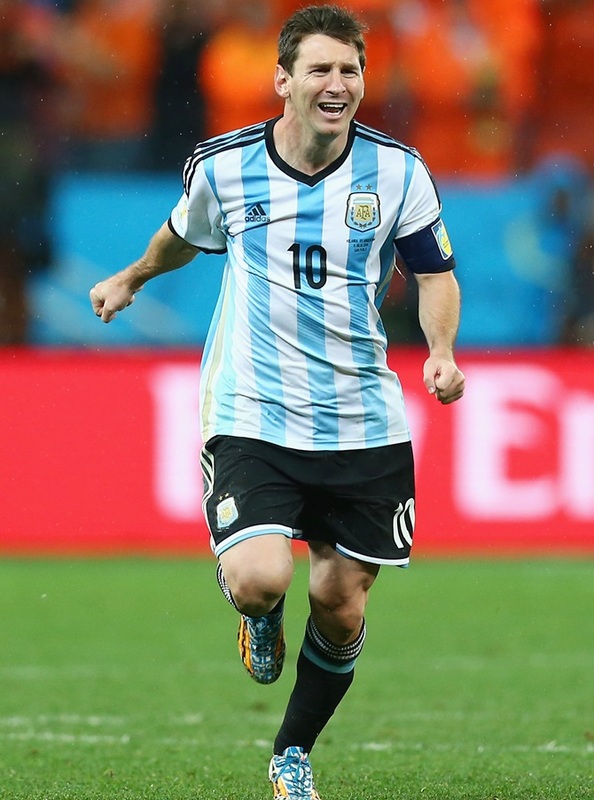 Rivals' obsession with stopping Messi has, however, given space to other team mates, and been a factor in enabling Argentina to reach Sunday's World Cup final where he hopes to emulate Maradona and bring home the first trophy since 1986. Lineker, though, said Messi may be simply too exhausted to perform at his best at the Maracana stadium in Rio de Janeiro. 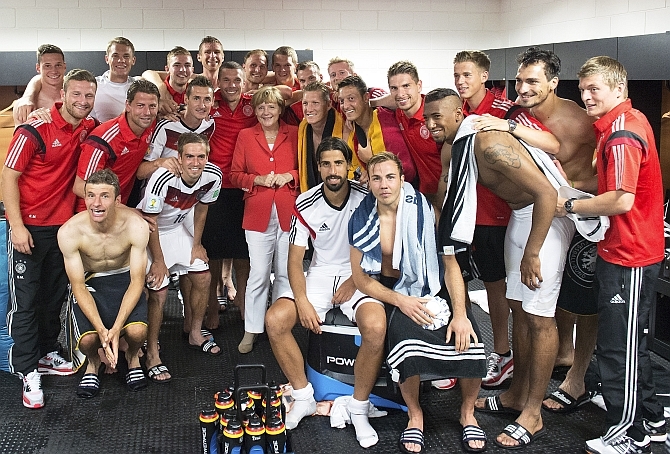 Chancellor Angela Merkel, who will watch Germany play Argentina in the World Cup final in Brazil on Sunday, said she did not mind what the score line was, so long as Germany win.